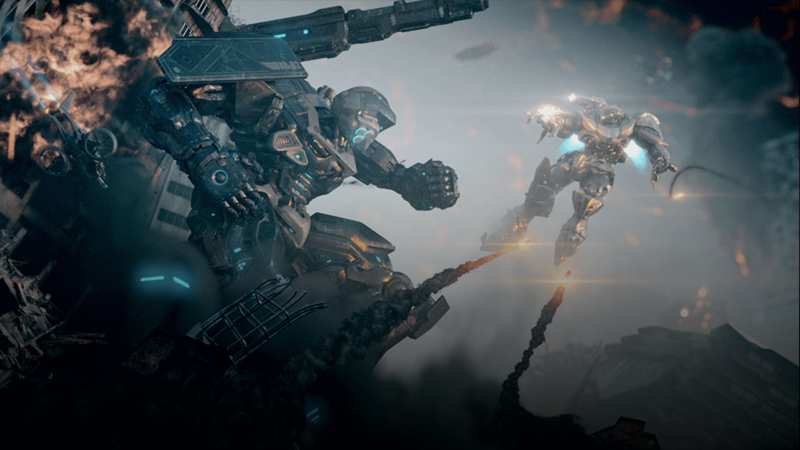 Unleash Massive Mech Mayhem with Substantial Update to the Award-Winning Virtual Reality Game, Archangel; Early Access Begins May 25. SANTA MONICA, Calif. – April 23, 2018 – Skydance Interactive, a division of Skydance Media, today revealed Archangel: Hellfire, an action-packed multiplayer game update to the award-winning cinematic arcade VR shooter Archangel. Archangel: Hellfire delivers intense off-rails VR warfare and explosive combat, adding two new game modes, including a Cooperative Mode and by popular demand, a brand new Team Deathmatch / PvP mode, along with all-new maps, new classes of mechs. Archangel: Hellfire will be available worldwide on June 28 for HTC Vive and Oculus Rift. Archangel: Hellfire will be available as a free update for players who own Archangel. For those new to the series and looking to enlist as mech pilots, Team Deathmatch will be available for free to all for a limited time, and will include the new mechs, abilities and PvP maps. Players who own the original Archangel will also be able to hone their skills in Team Deathmatch four weeks ahead of launch when Early Access Battle Training kicks off on May 25. To celebrate the upcoming launch of Archangel: Hellfire, the base game will soon be available to purchase at a discounted price. At the end of the 21st century, the world is in ruins as a consequence of a deadly ecological disaster. Countries are now under the control of HUMNX, a tyrannical corporation born out of a desire to “heal the world,” no matter the human cost. Leading the opposition are the United States Free Forces, who are waging a war of resistance against HUMNX to try and take back their freedom. Armed with an experimental weapon, The Archangel, the resistance has landed a serious blow on HUMNX, but the war is just beginning. HUMNX resources are plentiful, and while they may have lost a decisive battle, they have been working on weapons of their own to face off against Archangel-class mechs. Archangel: Hellfire introduces the new Team Deathmatch mode, in which players and their squad will pilot six-story high war machines and engage in an all-out 2v2 PvP battle for the control of a post-apocalyptic world, aligning with either the United States Free Forces or HUMNX corporation. In addition, players can jump into Archangel: Hellfire’s Cooperative Mode, and face off against a horde of enemies in solo or co-op gameplay. The game adds four new maps to face off in brutal post-apocalyptic battlegrounds with highly destructible features, six new warrior mechs and three distinct classes, each with their own powerful abilities and custom weapon systems, and all-new fully functional cockpit controls. View the teaser trailer for Archangel: Hellfire here. Download the Archangel: Hellfire press kit here. To learn more about Archangel visit www.archangelgame.com and follow @archangelgame on Twitter, Facebook and Instagram. Skydance Interactive creates and publishes original and IP-based virtual reality, PC, and console games. The division of Skydance Media was launched in 2016 through the acquisition of The Workshop Entertainment, whose prior credits include franchise and genre-defining work on “Gears of War 4,” “XCOM 2” for PS4/Xbox One, “Borderlands 2: Mr. Torgue’s Campaign of Carnage,” and “Sorcery” for Playstation Move. Skydance Interactive’s first VR game – the award-winning Archangel– launched in July of 2017. The studio is located in Marina del Rey, CA.